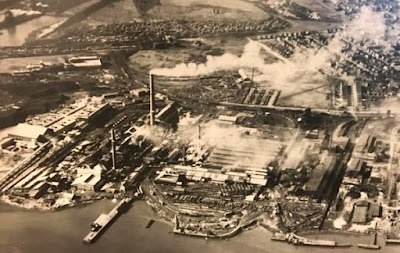 CARTERET -- The borough has reached a more than $7 million settlement with the owner of an old metals-refining factory to complete its cleanup of contaminated areas at its former smelter site. The settlement requires U.S. Metals Refining Company to pay $4.25 million to end further litigation and to fund environmental and public health initiatives in the borough, Mayor Daniel Reiman said. The company will also pay an additional $3.15 million during the next 10 years. U.S. Metals is the former operator of a smelter plant at 300 Middlesex Ave. that shut down more than 30 years ago. It operated in the borough from 1903 to 1986. The company, a subsidiary of Freeport-McMoRan, first entered a consent order to clean the site with the New Jersey Department of Environmental Protection in 1988. But there was no plan to address potential contamination in hundreds of public and private areas, including the yards of residential homes, that may have migrated off-site, the mayor said. So the borough in 2012 reached an agreement with the company to investigate and clean possible off-site contamination. In a statement, the mayor said for 20 years the state Department of Environmental Protection had "largely forgot about the borough and its long-gone smelter."